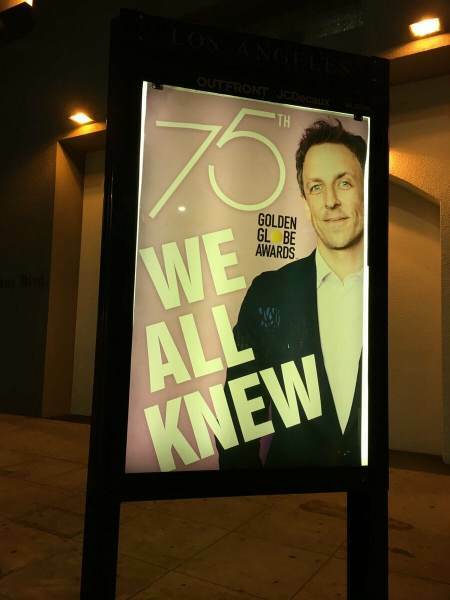 “We All Knew” street art by Sabo popped up before the Golden Globe awards, taunting Hollywood elites. As self-loving Hollywood elitists prepare to congratulate each other with another worthless awards show, they will be reminded they all knew about Harvey Weinstein’s sexual abuse yet remained silent. One piece of art shows this year’s Golden Globes host and ultra liberal Hillary sycophant Seth Meyers “WE ALL KNEW”. 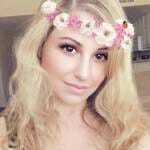 The taunting continued with “pedophiles, perverts and rapists” underneath a Los Angeles stop sign. 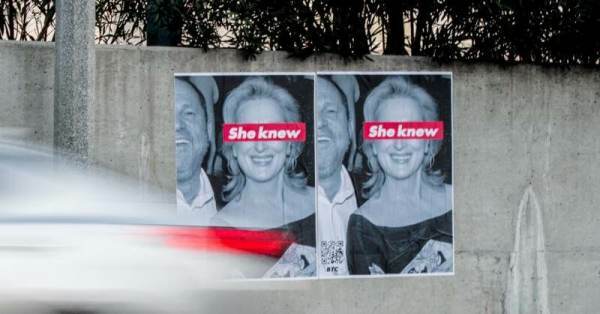 “She knew” street art of Meryl Streep popped up in Los Angeles, California in December. Not only was Streep silent about Weinstein, in March of 2012, the Hollywood actress praised serial predator Harvey Weinstein as “god” at the Golden Globes. They all knew and they all remained silent. BY “UNSAVORYAGENTS” I MEAN JUST THAT. THIS WAS A GROUP EFFORT PULLED OFF BY WHAT I WAS HOPING WOULD EVENTUALLY BECOME A COLLABORATIVE THAT GO BY THAT NAME.